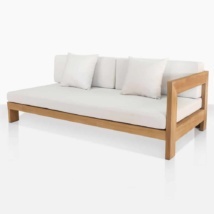 Create a timeless outdoor seating area with the Kent Street Teak Sectional, it has a classic look that is contemporary, luxurious, and distinguished. 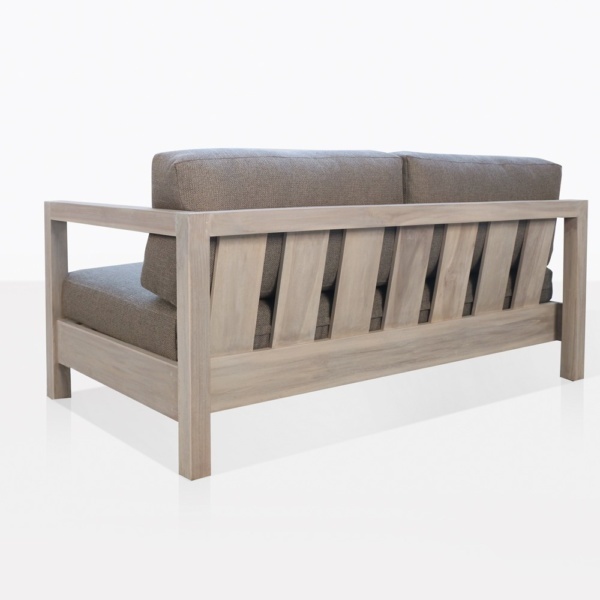 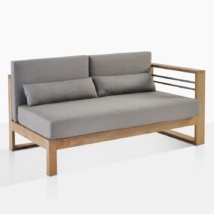 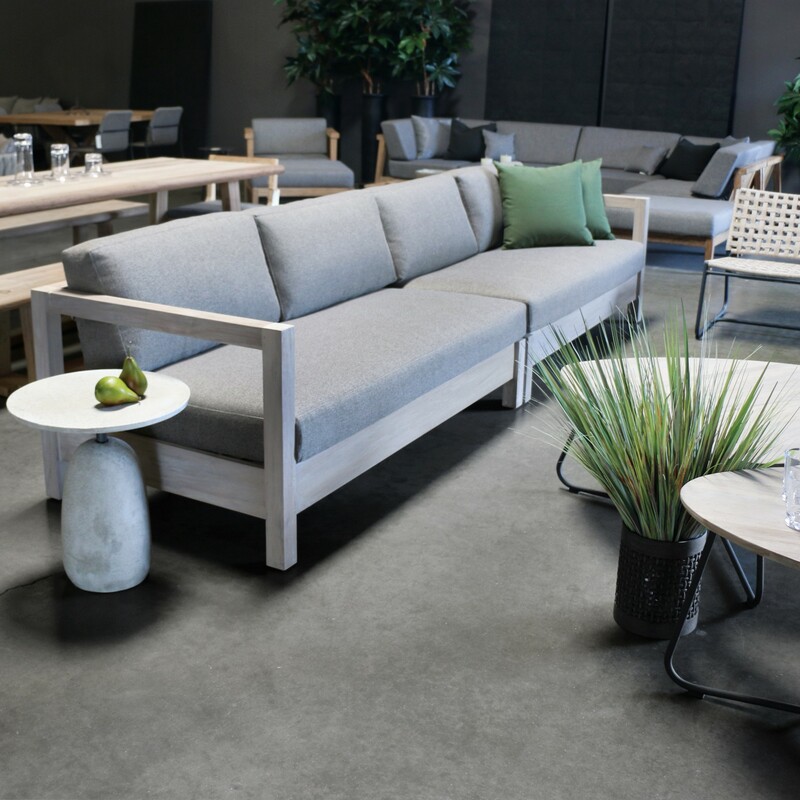 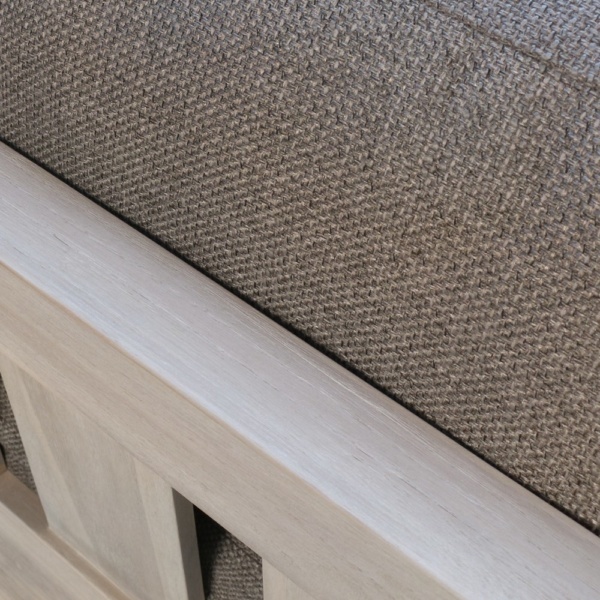 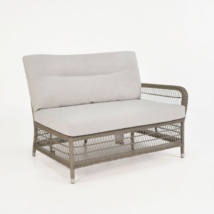 The clean lines of the teak frame allow you to dress and style this left arm sofa many different ways, whether you prefer simple, modern, or shabby chic. 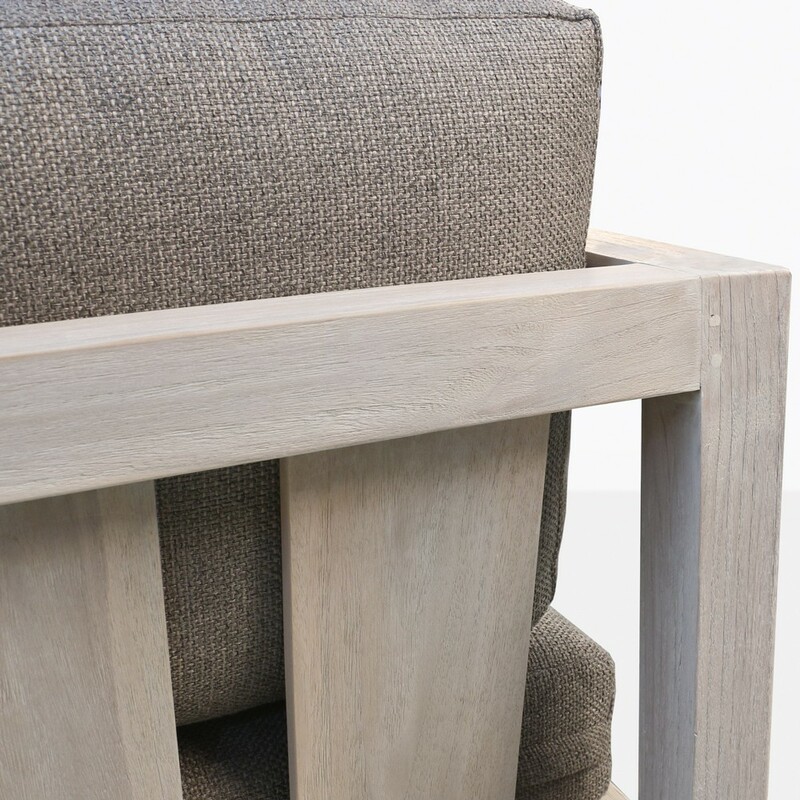 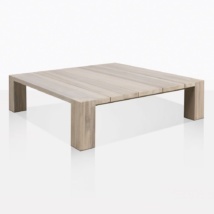 The teak frame is robust and the quality of the build is impeccable. 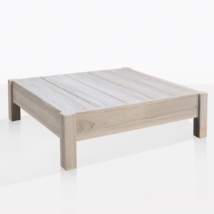 It has a good solid weight that is impressive and sturdy. 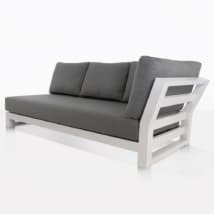 The design of the back of the sofa is so good looking it allows this piece to float in your space to show off every angle. 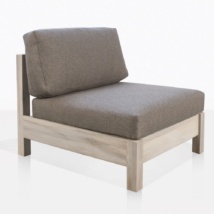 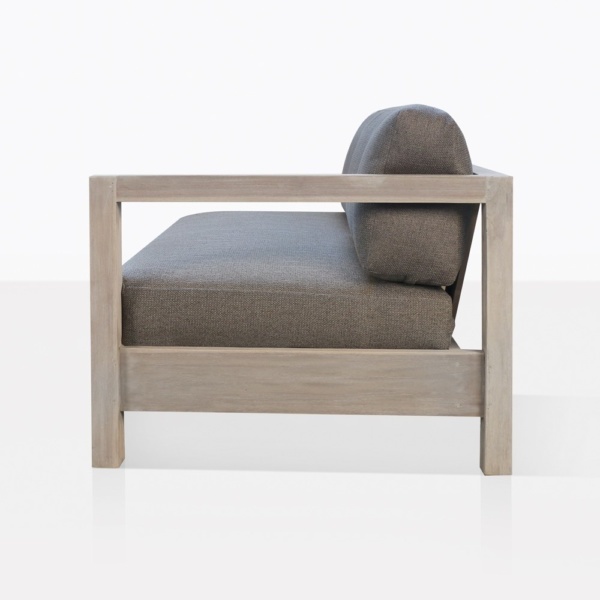 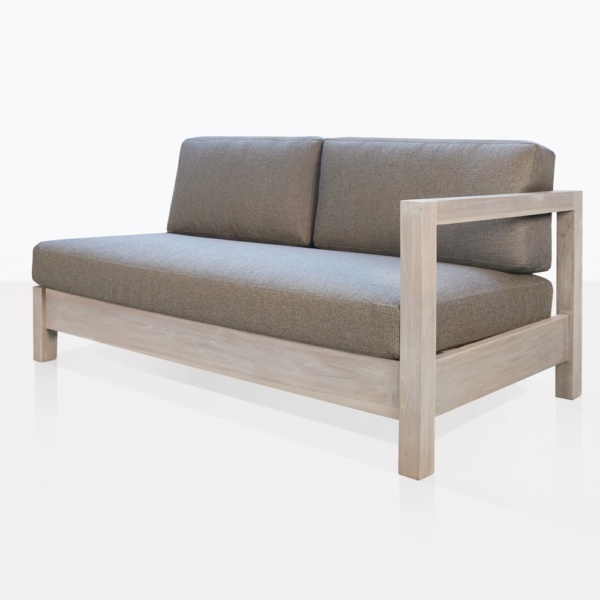 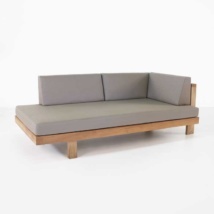 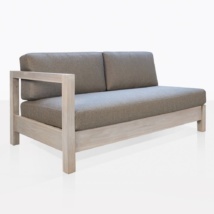 Pair the Kent Street Left Arm and Right Arm Loveseats together to create a long sofa. Add multiple relaxing chairs, eclectic coffee tables and you will have an outdoor relaxing space that will have you enjoying the fresh air daily.